This past Labour Day weekend, at the company's 115th-anniversary celebration in Milwaukee, Harley-Davidson unveiled the production prototype of its first electric lady, the LiveWire. 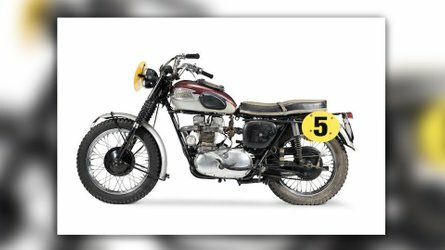 Since then, Harley fans and detractors have been eagerly awaiting more information about this all-new innovation from the all-American motorbike manufacturer. EICMA was set to be the platform for the model's official debut and we were excited to learn more about the long-awaited e-bike. The press release did reveal more. Well, sort of. Mostly, it's about the wording. In a bid to spread their wings and expand their demographic, “Harley-Davidson intends to be the world leader in the electrification of motorcycles, and is aggressively, but wisely, investing in electric vehicle technology.” ‘Aggressive but wise.’ Let’s just leave that there, shall we? The LiveWire will boast incredible torque—available immediately. 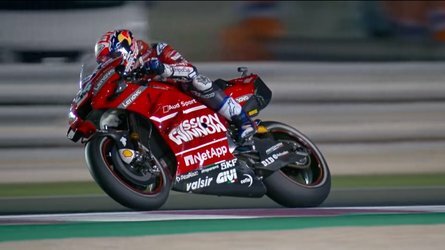 Since there’s no clutch or gear-shifting, a simple twist of the throttle connects bike and rider with instant acceleration from the “permanent magnet electric motor” which is also purposely situated at a lower center of gravity to improve agile handling. Like, really low. The stiffer chassis makes for a more responsive ride and the adjustable suspension will improve control. Add to that Brembo front brakes, ABS, traction control and some fancy tires for increased confidence. If you’re thinking that the aforementioned “features” sound familiar, you’re right. So let’s move on. Included on the “color touch screen TFT (thin-film-transistor) display” are 7 selectable riding modes. Yup, you read that right: four stock, three custom. Someone will need to fill this writer in on how many different, identifiable riding situations require this much attention to detail. After all, we are still riding a Harley here. In keeping with a strict tradition, Harley has made sure all eyes are drawn to the motor. “Its bright case and mechanical, muscular shape is meant to convey the power it contains,” they brag. That said, it’s a good-looking machine and very different from its gas-consuming relatives. Much more café than cruiser, this sporty little bike is clearly looking for attention from a different crowd. So there you have it. It looks great. It’s gonna be quick off the mark. It’s electric. You want to know more? See you back here in January 2019, when Harley releases its next dribble of details. 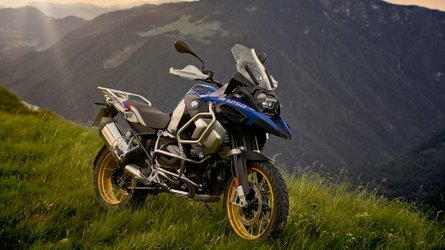 Due for release in 2019 and being shown at the event as a production-ready motorcycle, LiveWire was first confirmed during the announcement of the company’s “More Roads to Harley-Davidson.” On July 30, 2018, Harley-Davidson shared plans to accelerate its strategy to build the next generation of riders globally. Leveraging core strengths in the business, brand and dealer network, the company intends to invest in opportunities that inspire increased ridership sooner and deliver sustainable growth for the future. 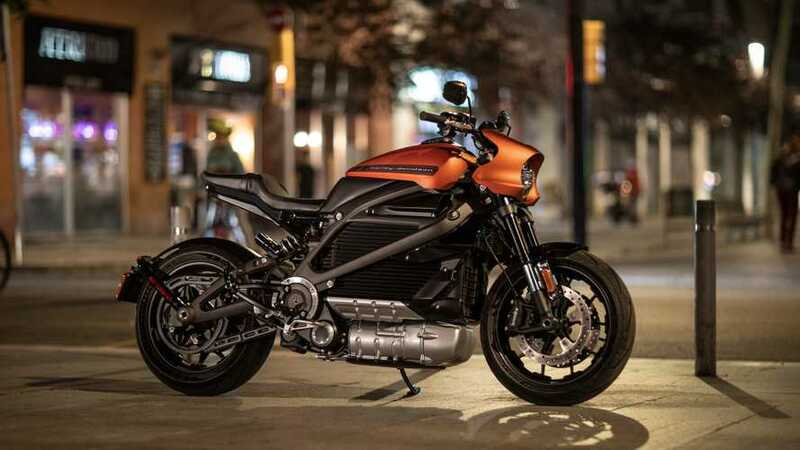 As part of this accelerated plan, Harley-Davidson intends to be the world leader in the electrification of motorcycles, and is aggressively, but wisely, investing in electric vehicle technology. Harley-Davidson is excited about the future of electric motorcycles and expects to deliver a full portfolio of electric motorcycles by 2022. 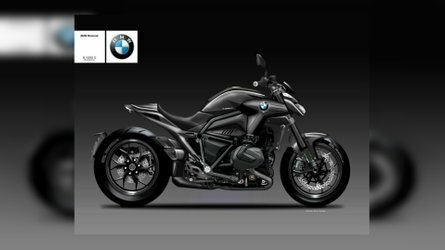 The vision behind the production LiveWire motorcycle began with Project LiveWire, revealed as a prototype in 2014 as an effort to gauge the potential of an electric-powered motorcycle as envisioned by Harley-Davidson. Drawing from the experiences of the Project LiveWire demo tour and following an intensive development program, the Harley-Davidson LiveWire model offers the rider a new, high-performance motorcycling experience. Propelled by the immediate torque of an all-electric motor, the LiveWire motorcycle is capable of astounding acceleration with just a twist of the throttle – no clutching or gear shifting required. A low center of gravity, rigid aluminum frame, and premium adjustable suspension components give the LiveWire dynamic handling. Performance and range are optimized for the urban street-rider. Powertrain performance is maximized by a chassis designed to deliver nimble, agile handling for confident control on urban streets and a thrilling ride on curving backroads. Combining the powertrain as a stressed member within the aluminum frame to increase rigidity, the LiveWire features premium high-performance fully adjustable Showa® suspension. The Showa® BFRC-lite® (Balanced Free Rear Cushion-lite) mono-shock rear suspension is complemented by Showa SFF-BP® (Separate Function Fork-Big Piston®) up front, balanced to match the performance and adjustability of the rear shock and deliver exceptional low-speed damping control – ideal for composed control in typical urban riding conditions. A color touchscreen TFT display (thin-film-transistor, a type of liquid-crystal display noted for high image quality and contrast) located above the handlebar offers the rider a wide range of information on a screen that’s bright and easy to read. The display unit is tilt-adjustable to afford most riders a perfect viewing angle. The TFT screen also allows the rider to access the interface for Bluetooth connectivity, navigation, music and more. The LiveWire motorcycle features a RESS (Rechargeable Energy Storage System, or the main battery) composed of lithium-ion cells surrounded by a finned, cast-aluminum housing. The LiveWire motorcycle is also equipped with a small 12-volt lithium-ion battery that powers the lights, controls, horn and instrument display. Charging can be completed using the onboard Level 1 charger that plugs into a standard household outlet with a power cord that stores below the motorcycle seat. LiveWire can also be charged with a Level 2 or Level 3, DC Fast Charge (DCFC), through an SAE J1772 connector, (USA), or CCS2 – IEC type 2 charging connector in international markets. All Harley-Davidson dealers who sell the LiveWire motorcycle will offer a public charging station with DCFC. The LiveWire’s style is just as stunning as the performance and follows a key Harley-Davidson styling dictum: the focus is on the motor. 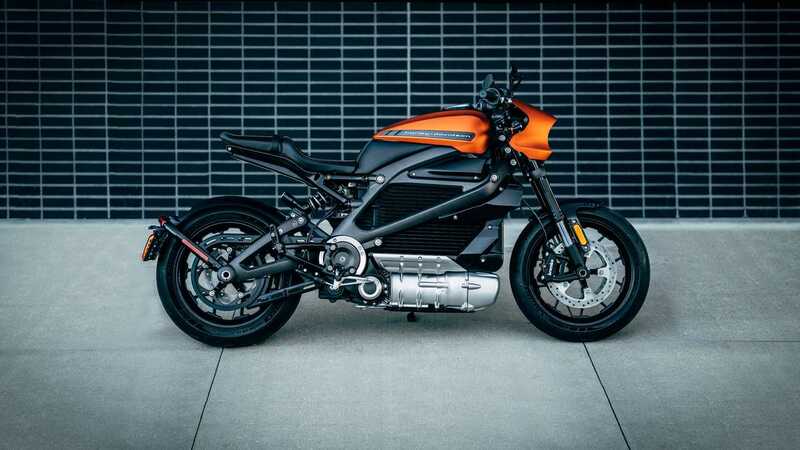 Just as the V-Twin engine is the most eye-catching element – the crown jewel – of every previous Harley-Davidson motorcycle, the electric motor is the first-look focus of the LiveWire motorcycle. Its bright case and mechanical, muscular shape are meant to convey the power it contains. In addition, the cast-aluminum case for the RESS has been styled with functional cooling fins. The bodywork, finished utilizing advanced paint technology to give the look of anodized metal, flows from a battery cover through to a high, wasp-like contoured tail section, with a rear fender that hugs the wheel so tightly that it almost disappears from sight. The all-new Harley-Davidson LiveWire will be on sale next year, and further details regarding pricing and the pre-order process will be released in January 2019. Please visit www.h-d.com/MoreRoads for details.